There are many people I would like to thank for making this post possible. First and foremost, it is thanks to John Pugmire that I was able to get in touch with M. Paul Halter, and without him, this interview would have been impossible. Words cannot express my gratitude. I would also like to thank M. Paul Halter, who bravely tolerated a barrage of questions from my direction and graciously answered them all. I conducted this interview via e-mail in French— French-speaking readers may want to read the original version of this interview, which I posted here — and Xavier Lechard kindly helped me to translate some of the more tricky passages, also taking the time to read the entire thing after I finished. Thank you very much for your continued support, Xavier. Finally, my thanks go out to Barry Ergang, who took a look at my translation and gave detailed suggestions for improvements. You have written many books and there are so many ideas in them. You explain the invisible man in Le Diable de Dartmoor (The Demon of Dartmoor) and the murder of a maharajah in complex circumstances (three locked doors!) 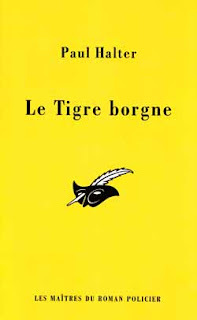 in Le Tigre borgne (The One-Eyed Tiger). Where do you get your ideas? Have you got some sort of process? Do you first dream up some “impossible” scenario or a solution to one? And once you have finally found an idea, what steps do you take? As you can imagine, it’s a question I’m frequently asked, and I admit I’m at a loss at how to answer it. People often believe that mystery authors have some secret and extremely specific method in coming up with their plots. There’s nothing of the sort, at least not in my experience. Every new novel is a new challenge, with its own cortege of doubts and questions, its traps, its obstacles… It’s a long-term project in any case, which demands high concentration to stay in the spirit of the puzzle, in an ambient atmosphere. Nevertheless, we can uncover some guidelines, of which the first would undoubtedly be the general atmosphere. That is to say, the chosen theme. For instance, since you mention it, let’s take The One-Eyed Tiger as an example. There I took the theme of Fritz Lang's film The Tiger of Eschnapur which I'm sure no one will dispute to be a masterpiece. I longed to write a story based on this premise. So the scenery was already planted. 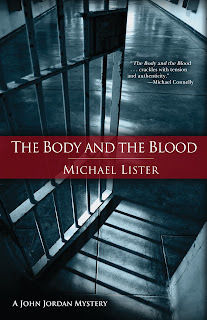 I next told myself that it would be interesting, to complicate matters, to include a brilliant crime taking place in a locked room, a triply-locked room! So let’s allow our imaginations to wander, using the local material, the palace, the pavilion in the centre of the lake, the crocodiles, the elephant, the rat (a sacred animal)… And since we’re in more of a dream-like than realistic India, in sum a fairy tale, a prince (thus a Maharajah) and a beautiful princess must be included as a matter of course… And a detective, of course… without mentioning the fakir with supernatural powers. (I was always very impressed by the fakir in Les Cigares du Pharaon (Cigars of the Pharaoh)). At this point, the main characters are already outlined. Characters on the verge of caricatures, but always effective, kept in the imagination. The dressing comes next. Then setting up false trails. Always leaving a solution in the reader’s mind, to better demolish it later on. It’s also necessary to anticipate a twist, and rather early on, because it will be hard to make modifications in the structure later on. At this stage, the plot development becomes very technical. It is vital to regularly reconsider the entire structure without wandering from the general atmosphere, which gives the story its color, all while refining the details. Those are, roughly speaking, the different stages of plot construction. But I admit that I sometimes proceed differently, by beginning with a locked-room trick and gradually dressing it. All this is hardly original, I agree, but that’s how I proceed. One final point: sometimes, everything gets put into place rapidly — almost as if by magic! — and at other times, it’s extremely laborious. Alas, inspiration cannot be summoned up at will! Your career is remarkable, and your French website includes an article by Philippe Fooz and one by Roland Lacourbe, both analysing your favourite themes. There’s the locked room/impossible crime, of course, but throughout your work, we find murderous ghosts, haunted places, curses, prophecies, etc. Is there any one theme that particularly fascinates you? An impossible crime that you particularly want to solve? As for my favourite “impossible crime,” it might be the basic premise— that is to say, a man killed in a room locked from the inside. I’d love to find a perfect, entirely original solution to the old problem. I’ve worked on it for a long time. I wouldn’t say I’ve done so in vain, because I recently stumbled across a variant that meets these criteria. There’s just one problem: it is a bit technical, and would require a plan to propose a clear explanation. It’s why I’m still hesitating about introducing it into a story. I think that a very important aspect of a novel is its title. It’s the first thing a reader sees. An author should have a good title to attract attention. A great title plays with our imaginations as readers — we start asking ourselves all sorts of questions and finally, we pick up the book and turn the pages to discover the secret behind the title. Creating a good title is a rare talent, and the titles of your books are some of the best I’ve ever heard! I particularly love the titles The Tree with the Twisted Fingers, The Red Fog, The Madman’s Room, The Invisible Circle, and The Siren’s Shriek. (I’ve already bought all these books because of their titles!) So: what is the secret? How do you come up with the title? Does somebody else do it for you, perhaps? Has there ever been a case where you wrote a book just to use a particular title? The choice of a title is rarely a problem. I’ve always got the impression that it imposes itself, and I never paid any attention to it until the day a critic made me a remark similar to yours. Retrospectively, I have noticed that I’ve had the tendency to use a vocabulary of furniture (Door, Room, Curtains) and numbers (The Fourth Door, The Seventh Hypothesis, etc.) Out of context, these words wouldn’t be particularly evocative. But in the framework of the roman policier, they take on a more sinister dimension. It’s true that sometimes, I have been helped. It was Hélène Amalric (the old literary director of Le Masque) who transformed my “Final” Door into a “Fourth”. I remember that I was instantly sickened, thinking that this would give the whole game away. As a matter of fact, this was not the case and the choice was a wise one. The Blurred Image, also, was proposed to me by a friend, after I had spent hours juggling the words “image” and “photo” without finding the right adjective. Have I ever written a book to use a specific title? Yes. One time. Death Behind the Curtains. I longed to write a story with a horrible thing behind a curtain. Which brings us back to your first question about my writing method: it varies constantly. Penelope’s Web, for example, was the result of a challenge given to me by my friend Vincent Bourgeois, the great Belgian impossible-crimes specialist: carry out a locked-room mystery where the room is sealed with a spider’s web. Roland Lacourbe, outstanding film critic (if not the greatest! ), supplied me with countless starting points by recalling unsolved news items with a suggestive power his readers know well. I owe him The Clown of Midnight, The Cleaver, and The Seventh Hypothesis amongst others… And, of course, “criminal reunions” between friends: our long and passionate discussions on the subject, spawned other mysteries. But we won’t return to this question. Let’s pass on to the next. All these “creation stories” are fascinating—I hope you’ll forgive me if I ask a few more questions in this vein. So here’s the major one: like John Dickson Carr before you, you have two main series detectives. 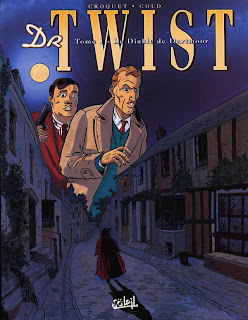 There’s Dr. Alan Twist (and let’s not forget his colleague, Inspector Archibald Hurst) and the dandy detective Owen Burns (and his colleague, the Watson-like narrator Achille Stock). Do you prefer one of your creations over the other? Why and how did you create Burns? I had a desire to also write stories set in the time of Sherlock Holmes, so I needed another detective. I did not have to search for a long time; Oscar Wilde’s personality seemed an obvious choice. I was even surprised that nobody had thought of it before me! That exacting aesthete, who swoons before bad taste—I imagined him perfectly in the role of a detective, ready to help the police but only in cases worthy of him—that is to say, very elaborate impossible crimes. And thus, Owen Burns was born. Of course, I’m much attached to my Dr. Twist (who in my mind physically resembles comic-book hero Clifton and, like Clifton, adores cats). I admit having a small preference for him. But I find it more fun to put Burns on the scene. His personality of a pretentious eccentric permits much more imaginativeness, a dry wit which is hard to put in otherwise. Detective stories are tales that evoke worrying by definition, and they do not bear farce very well (unless it’s by means of its detectives). Also, with Burns, the criminal artists he faces appear almost legitimate. This allows me to outdo myself in terms of the extraordinary and the incredible, for my great pleasure and, I hope, that of the reader. One of the themes that seems to fascinate you is Greek mythology. 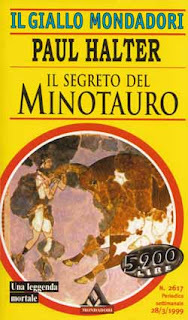 It surfaces several times in your books, and in 1997, you wrote The Crime of Daedalus, where you constructed a puzzle centered on Greek mythology (the death of the Minotaur, the flight of Daedalus and Icarus, etc.). I found the puzzle excellent (the solution is elegant!) and the central idea is fascinating. Do you remember how you came up with the idea for this book? Do you consider it a success? Were there elements you attempted to improve in The Stone Giant (1999) and The Path of Light (2000)? At the time, I read an article that closely related the riddle of Atlantis with the Minoan civilisation, so Santorini Island and Crete. The argument was brilliant and the text left me enthusiastic. I immediately had a desire to go there myself, but that was not possible. So I started writing The Crime of Daedalus to comfort myself. Mid-novel, I flew to Crete. The island seduced me, and it was having my spirit bathed with the Mediterranean atmosphere that helped me to finish The Crime of Daedalus upon my return. Yes, I like this story, which is also an adventure story. (I’m a big fan of Indiana Jones and Bob Morane!) After that, I really wanted to keep in this course. Mastering the subject matter more, I threw myself into The Stone Giant and then The Path of Light. It was in this last book that the Minoan part was the most important, and I admit getting much pleasure from writing that story. It has everything I love: a puzzle and a locked-room murder, of course, but also adventures, mythology, dreams, mystical quests, archaeology, Ancient Egypt, time travel… I won’t hide from you the fact that some of my readers started to worry! So I quickly plunged back into my first loves: the streets and fogs of London, in The Bloody Match. I then permitted myself another oriental fantasy with The One-Eyed Tiger, then I returned to England with The Phantom Street. I guess you could call travelling in a locked room! 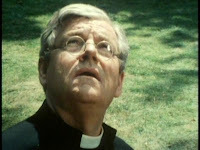 And of course, it was after a “pilgrimage” to England that you wrote one of my favourite books, The Demon of Dartmoor! The atmosphere is excellent, and the puzzle contains one of the greatest impossible crimes in the history of detective fiction! What were your inspirations in writing this story? Was the puzzle easy to construct or on the hard side? Regarding The Demon of Dartmoor, I recall a fairly easy writing process. The two previous books (The Seventh Hypothesis and The Letter That Kills) were in my eyes more complex stories, and thus demanded more concentration. After those two somewhat atypical novels, I had the desire to write a story of more resolutely classic workmanship. And it was the first time I had been at the scene of the crime beforehand, in the famous land of Dartmoor which has haunted generations of readers! Not only was I not let down, as the place is magical and everything I imagined it to be, but I returned with plenty of ideas, having learned many legends that abound in the region. Among these was that of the Invisible Man, which I retained as the central theme of the book. The plot had to be quickly elaborated, because I started writing it as soon as I returned. I’m very happy it pleased you. Compared to the last two (The Seventh Hypothesis and The Letter That Kills) I was only mildly satisfied with my “Demon”. 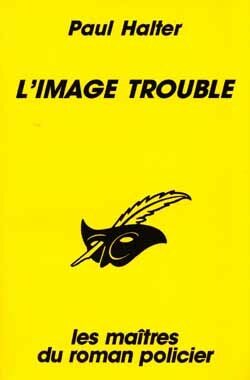 But when I reread it for the bande dessiné adaptation several years later, it seemed to me far better. I’d like to open a parenthesis here to emphasize that it is very difficult for an author to appreciate his own work, especially on the spot. And how to judge the trick when you know the explanation? You’d have to completely forget your stories… which I certainly hope I don’t! Which of your books gives you the most pleasure? Which are, for you, your greatest successes? It’s a difficult question for an author… and I find myself obliged to nuance it. When it comes to writing, I’d pick four titles: Barbarossa’s Curse (it was my first attempt and inspired by personal memories), The Red Fog (because I love Victorian London as well as the story’s main theme), as well as The Stone Giant and The Path of Light (which made me dream). The Fourth Door. A rather short story, but rich in mystery and based on the unsettling personality of magician Harry Houdini. The Seventh Hypothesis, with its baroque duel between two masters of crime. The Letter That Kills, with its bizarre nature and plot twists. The Blurred Image, with its time paradox. But generally speaking, I like all of my stories! Which is a good thing, you’ll tell me, or else how could an author possibly hope to please his readers? I also admit having a mutating viewpoint. Sometimes I prefer to write traditional mysteries, such as The Demon of Dartmoor or Penelope’s Web. My reading tastes are more or less the same. Depending on my mood and tastes at the moment, my opinion can vary considerably. For instance, I remember raving over Carr’s “The Three Coffins” the first time I read it, but never really getting into the story upon a re-read. Now that I think of it, I must have been sick at the time… how else to explain this strange passiveness before such a monument of crime? Your website announces two new books for 2012: Spiral and The Traveller from the Past. Will there be impossible crimes in these books? 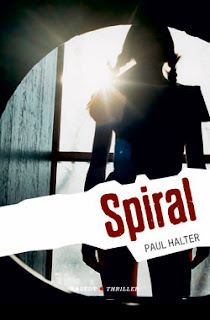 Spiral seems to be your first novel set in the modern world. Why did you finally decide to write a novel set in modern day? Impossible crimes? Yes. To be more precise, in The Traveller from the Past, there will be an impossible disappearance. An intruder is caught and chased by a witness, and will fade away in a locked room. And the intruder will apparently be a ghost, this famous traveller from the past, who has leapt in time by half a century! Spiral will contain a traditional locked room. A strangler is running loose in the Dinard region. Mlle. Rose Lestrange, a reputed medium, believes she can identify him. To do this, she will isolate herself at the top of a tower, in a room that will be duly sealed by the witnesses. Two hours later, the seals are intact, but Mlle. Rose is lying on the floor strangled, chaos surrounding her in the room. The story is contemporary, of course, but you’ll understand that despite the time period, the puzzle is traditional! As for the choice of time period, it was quite simply that of the publisher, Rageot, who will launch a new series for young adults, “Thriller,” in March. It was a commission and there were several constraints (and of course, it will be young adults investigating). I did my best to keep to the framework while adding my personal touch. For that matter, I considered it my duty to initiate young readers to the locked-room mystery! Your books have begun to appear in English. First it was The Night of the Wolf, a short story collection. Next it was a novel, The Lord of Misrule, followed by The Fourth Door and The Seven Wonders of Crime. Unfortunately, you’ve had trouble finding a publisher for these books, and you finally resorted to self-publication. Could you speak a bit about the translation process? How did you get this started? Why did you choose these novels to start translating your books into English? Have you had more success with translations into other languages? And finally, the results: are they encouraging? Can we expect more? When it comes to translations, it’s necessary to understand it’s mostly between publishers, not really the author’s field. Because requests come from foreign publishing houses and they are addressed to the French publisher, who finalises the contracts. The author has no say in the matter, and cannot choose his translators in any case. For the USA, though, the case is special. Apart from some stories that appeared in Ellery Queen’s Mystery Magazine, there has been no demand (alas!) among American publishers for my novels. 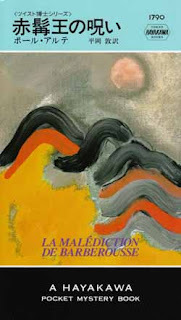 But I happen to know John Pugmire, my current translator, who has taken it upon himself to promote my novels in the US. I know he has spent much energy on this effort over a considerable period of time, and I’m very grateful to him. As for the choice of titles, this depends above all on the question of publishing rights. Among other countries that have translated my books, there is the publisher Mondadori, which is rather like Le Masque in Italy. Almost 20 titles have appeared there. 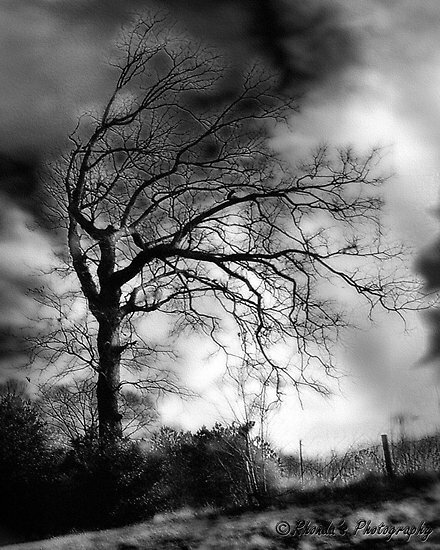 Furthermore, one of the next to be published will be The Demon of Dartmoor, which you know well. I would like to take advantage of this opportunity to give my deepest appreciation to my Italian translator, Igor Longo, who is without doubt one of the world’s greatest mystery specialists. A veritable encyclopaedia of crime! If the puzzle plot mystery is no longer in vogue in Western countries, it is on the other hand very prized in Asiatic countries. Several of my novels have been published in Japan. At the moment, several books a year are released in China through two publishing houses, one of which occupies itself exclusively with Dr. Twist’s cases. I’d like to add that I also have a young and dynamic agent there, Fei Wu, whom I’d like to greet in passing. In that part of the world, then, the situation is more favourable. What about the future? It’s difficult to say. The wheel turns, and the detective story will one day be back in style. But when? As you say, the detective story really is not in vogue at the moment. 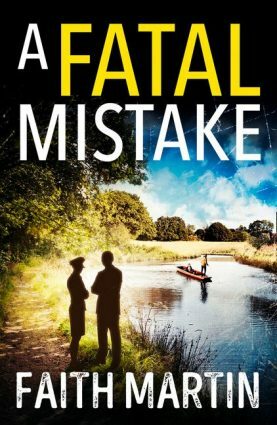 How do you live out your (ahem) uniqueness within the French mystery-writing field? Rather well. Swimming against the tide even brings me a certain euphoria. And then I’m the only one who regularly concocts detective stories. So I have no competition! In summary, it’s both an asset and a handicap. I’ll also add that my circle of friends is very much geared towards the traditional detective story, which has the tendency to (h)alter my point of view, and I have the private belief that I’m on the high road. What do you think of the national dominance of “noir” and of the fact that critics and literary prizes ignore you while they approve of the work of far inferior authors? If you look closely, “noir” is already declining. Moreover, many people see in the series CSI: Crime Scene Investigation, a modern day version of the Holmesian investigation. Of course, I’d love to benefit from more publicity. You might tell me that it’s partly my fault, that I’d be better off writing noir-socio-political thrillers to fit into the mould. The problem is that it doesn’t interest me in the least. Whatever the field, I think an author must write what he loves, stories that he’d love to read. I love adventure, mystery, and genre fiction. When you say that noir is declining, what authors do you think are leading the charge in this direction? Do you read a lot and, if so, who are your favourite authors? Are there any specific authors/books that you’d recommend? In a general way, I’m thinking of the quintessentially French detective novel, which particularly tackles social questions and which uses the detective story to indoctrinate people. Of course, I have nothing against social studies or even political activism. But in this case, I’d prefer to have the story’s true colours announced. For me, the detective story ought to remain a literature of escapism. I devoured detective stories at an alarming rate before starting to write my own. Today, I’d love to read more of them, but I don’t have the time. So I limit myself to novels that are warmly recommended to me. My favourite authors, at the risk of sounding unoriginal, are Carr and Christie, as well as G. K. Chesterton and Fredric Brown. Although I am an unconditional admirer of Carr’s, I find him very uneven. You might say that he lost the fire in his belly after the Second World War. There’s a considerable difference, for example, between The Burning Court and The House at Satan’s Elbow, which is uselessly complicated and as tedious as possible. 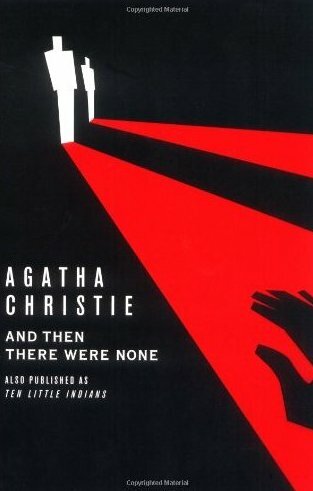 Agatha Christie seems much steadier to me, and is at a very high level. I love Chesterton for his sense of the unusual and bizarre. And Fredric Brown is often brilliant. 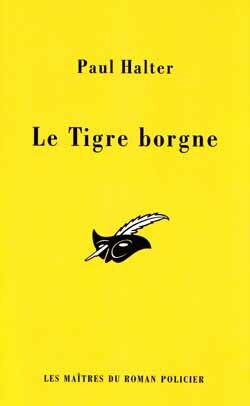 As for contemporary novels, I will cite Murder on the Leviathan by Boris Akunin (thanks to Philippe Fooz for helping me to discover him!) and Soji Shimada’s exceptional The Tokyo Zodiac Murders. M. Halter, thank you very much for your time. 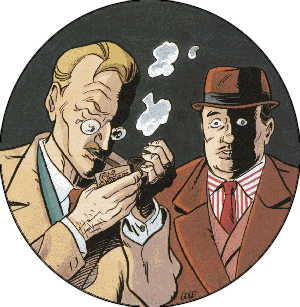 Les Cigares du Pharaon (Cigars of the Pharaoh) is a book in the comic book series The Adventures of Tintin, written and illustrated by Hergé. It is notable for the introduction of the villain Rastapopoulos and the bumbling detectives Thomson and Thompson (in French, Dupond et Dupont.) Cigars of the Pharaoh involves the intrepid Belgian reporter coming across a gang of opium smugglers. The following book, The Blue Lotus, is a direct sequel. The fakir that Paul Halter refers to here is a high-ranking member of the smuggling ring. He is talented in hypnosis, the art of escape, and the Indian rope trick. Halter explains a macabre variation on the Indian rope trick in The One-Eyed Tiger, and in a way foreshadowed it in the far earlier Dr. Twist adventure The Tiger’s Head. Vincent Bourgeois, along with Michel Soupart and Philippe Fooz, has co-written Chambres closes, crimes impossibles (Locked Rooms, Impossible Crimes), which is the French equivalent of Robert Adey’s classic bibliography Locked Room Murders. Bob Morane is a highly popular hero of adventure stories in Belgium and France. He was created in 1953 by Belgian author Henri Vernes. You might call him the French equivalent of Doc Savage and James Bond put together. He’s had numerous adventures (over 200 books published to date) which have been part of not only spy fiction, but also science fiction and fantasy. Brilliant interview with a brilliant man! Very interesting interview. 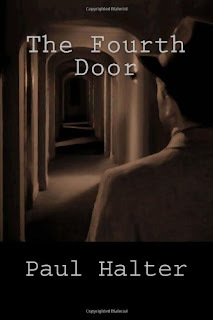 Even when Paul Halter surreal to be the next announcement of the publication in Italy of a famous novel in the series of Twist, which I had dreamed of publishing so many years ago, talking to Igor (Longo), Italian translator of Halter,Le diable de Dartmoor , while in Italy so far no one had said anything. And I do not think you would be exposed so if Halter had not had sufficient confirmations. . Beyond this, even I who founded a group dedicated to Anobii Sweetheart, I do not think that as Halter manufacturer Locked Rooms is comparable to Carr, as they say around. 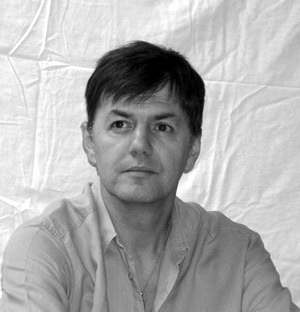 Halter often cites other writers in his room: he says nothing, is to find its readers. 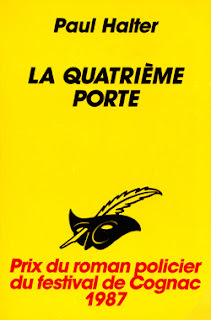 For example in "La Quatrième Porte" he brings the corpse back on itself, is the direct quotation of the same body folded on itself to form an armchair in a novel by Carter Dickson, The Red Widow Murders: in Barberousse there is a direct quote of a story Hoch, etc. .. You might think that simple decantation of impressions obtained by reading books, but I think he specifically cites the various writers, as a sort of tribute. That's why I think that the magnitude of Halter is rather in the vein of his great novelist, was born a writer, inventor of the atmosphere is absolutely unique, compelling, palpitating with a macabre streak of very suggestive. 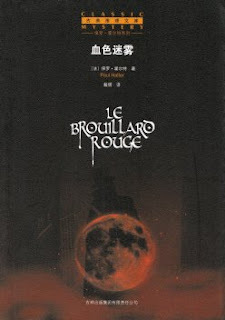 I think modesty is no coincidence that the date is his masterpiece The brouillard rouge, a fresco, when his visionary and his taste for the macabre reached its apex in the image of the wall paintings of red blood .. at the beginning and end of the novel. Darn, I want to know what he thinks of Fred Vargas who is one fo the few modern French crime writers who still honors the traditional detective novel and shares with Halter a love for the bizarre. Quick email him now! ;^D Loved this Patrick. What a real gift to all of us impossible crime addicts to hear the "new Carr" talk about his work in more detail. No surprise to me that he's a big hit in Japan and China. After reading this interview, my conscience is embarrassed that I dispute his claims to Carr's throne and hammer on his faults. He really comes across as a likeable person who, like us, genuinely love detective stories and took the next step. Let's hope that our unrelenting support for neo-orthodox writers, such as Halter, show that there's still an audience interested in writers honoring a fine old tradition. I was left with a similar question as John: I want to know if Halter is aware of Clyde Clason and Paul Doherty. They are writers who work(ed) with similar themes as him (e.g. locked rooms, history and ancient cultures). I think he would love The Man from Tibet and The Anubis Slayings. I know that, after speaking with the author himself, I'm now particularly interested in reading "The Blurred Image"! I also can't wait for his two new books to be released. About two weeks ago, a bunch of his books, ones that I did not yet own, popped up as e-books and I bought a few. I'm glad everyone has enjoyed this post. Being able to work on it was an honour. Patrick, you did a truly great job interviewing the New Master of Impossible Crimes. Now I think I get to know the genius behind this author much better from your interview. Keep up the good work, Patrick.